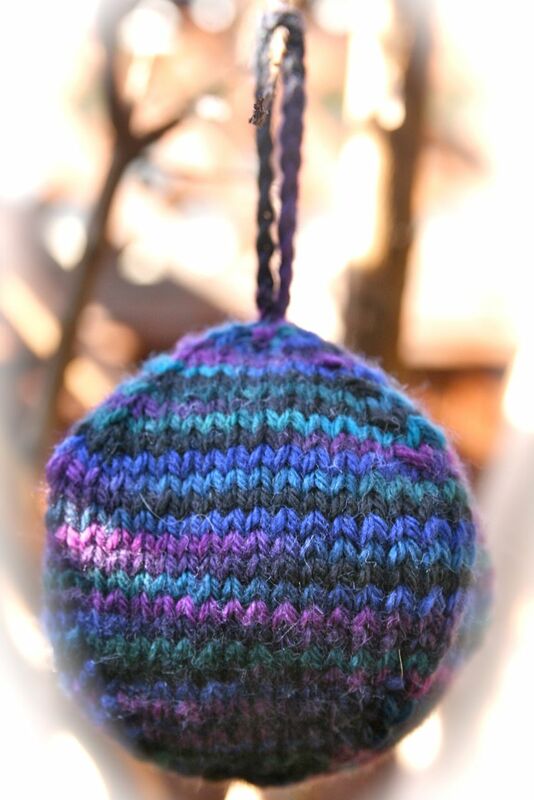 This year I attempted a couple of knitted Christmas balls for knitty decor – I just love knitted decor, obviously! This one here is from this pattern here. And it is by Leigh Radford – an author of one of my fave felting books Alterknits felt. Wow and what a super price it is at the moment! Anyway back to the post of knitting this guy up on my 5 DPNs – I had not used DPNs in a while and I really enjoyed it so much that I made a couple of these ornaments, the other one had eyes and is on my Xmas tree.